If you drive a new car or truck, odds are rust is the last thing on your mind. However, the harsh environment we expose it to can create damage early on. Few problems can harm your car's resale value like unsightly rust, so why not do what you can to keep it safe from oxidation now? First, it's important to understand what rust is. If you remember anything from chemistry class, you've probably heard of iron oxide. Basically, iron oxide is a product of iron and oxygen when water is present. As the reaction progresses, the iron is consumed, resulting in rust and a small amount of hydrogen. Since your vehicleís body is made up of steel, an iron alloy, it's susceptible to rust. If it were left unprotected, all of your car's sheet metal would waste away in a few short years. Fortunately, manufacturers realized early on the best way to protect metal from oxidation was to paint it. Doing so seals the material off from oxygen and moisture, thereby stopping the reaction. While we may think the color of our car as more of a fashion statement, the truth is paint is there to protect your purchase from crumbling into the earth. While modern manufacturing techniques do a great job of protecting your car's metal from rust, improper care can make it susceptible to deterioration. Here are a few ways you can keep your car rust free. We know this isn't an option for everyone, but storing your car or truck in an enclosed garage is one of the best ways to protect it against rust. Extreme changes in temperature and exposure to sun and precipitation will weaken your car's paint over time, and eventually rust will take hold. What's more, small scratches can become big problems when your car is exposed to the elements on a daily basis. 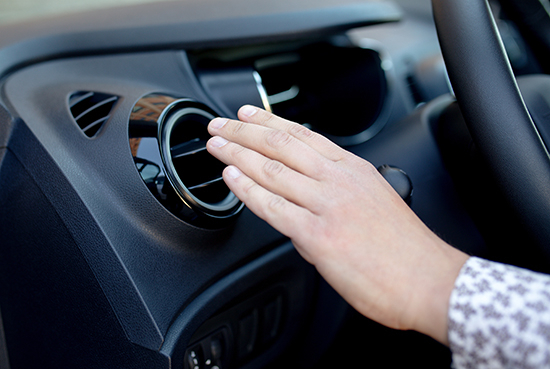 Keeping your car indoors is the best thing you can do to keep it safe from rot. Weather isn't your only problem. Failing to keep your car clean puts it on the fast track to rust. As you drive, dirt collects in your car's various nooks and crannies. Where dirt resides, moisture will follow, and the muddy mess will eventually wear down the protective paint to bare metal. From there, it won't take long for rust to do its worst. Keeping your car -- especially your fender wells -- clean is essential to keeping rust at bay. If you can, give your car a good wash once a month. If you drive your car, it's going to suffer road rash. The trick to minimizing the damage is to repair serious paint chips while they're still small. That means getting an appropriate vial of touch up paint and tackling imperfections as quickly as you can. Failing to do so is like leaving the door open to rust, and small scratches will eventually cause the paint to chip and peel in large chunks. Not pretty. 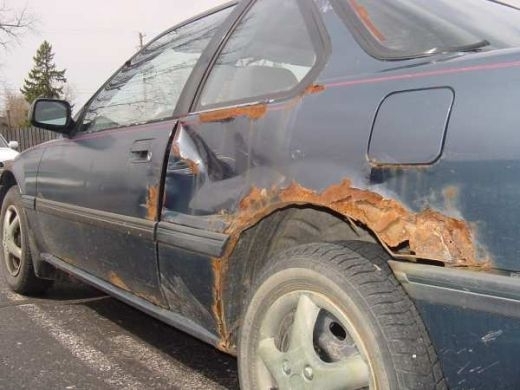 Generally, protecting your paint is a good step toward saving your vehicle from rust. That means taking the time at least once a year to use a good protective wax. 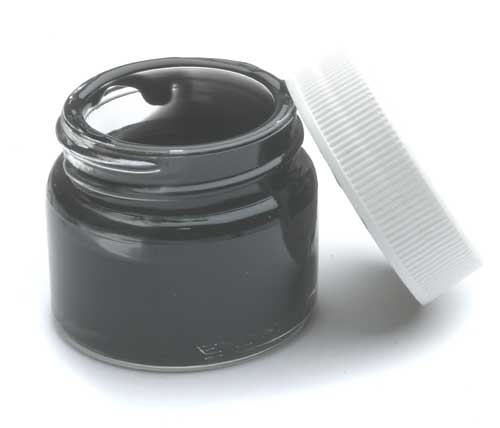 Most waxes keep at least a portion of harmful UV rays away from paint, preventing it from cracking and eventually failing. While there are a variety of quick spray-on waxes available, a standard liquid or paste may be a better choice. As always, be sure to apply your wax in a cool, shady area and follow all of the instructions on the bottle. 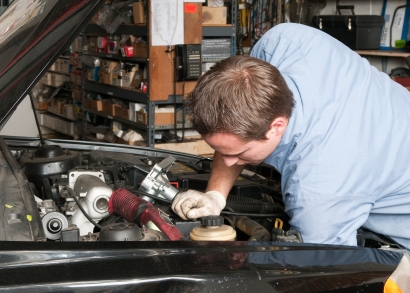 Failing to do so could cause serious damage to your vehicle's finish. If you happen to get into a fender bender, do your best to get your vehicle repaired by reputable technicians. It may be tempting to go with a cheaper place so you can pocket the rest of the insurance check, but that won't do you any favors in the long run. 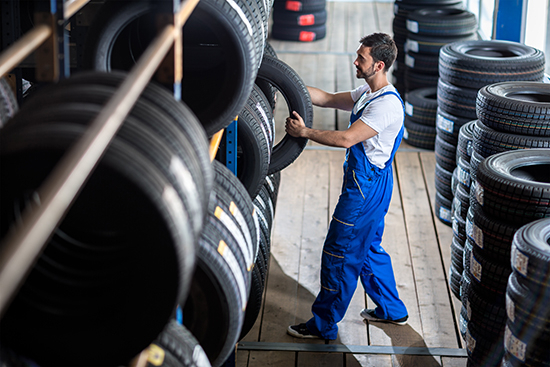 Cheaper shops may use excess body filler, which is more prone to contraction and expansion as the ambient temperature changes. That means eventually it may crack, allowing water and air to reach your sheet metal. 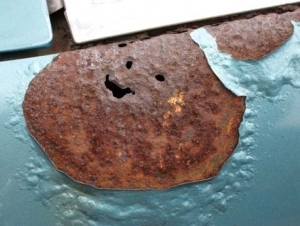 Before long, rust will settle in just below the surface and you'll have real problems. Get it done right the first time and don't worry about it.